Just like you can have cancer and not know until you go in for a routine exam, or in the same way someone has no idea they have heart issues until the moment of their heart attack, you can actually have SIBO (Small Intestinal Bacterial Overgrowth) and not even know it. I tell my patients it’s like seeing the tip of the iceberg, all you see above water is the tiny tip. But underneath it all is a massive block of ice below the waterline. At first, you may not see symptoms (at the tip), but the deeper into the condition you go (under water), the more vast the problems manifest. 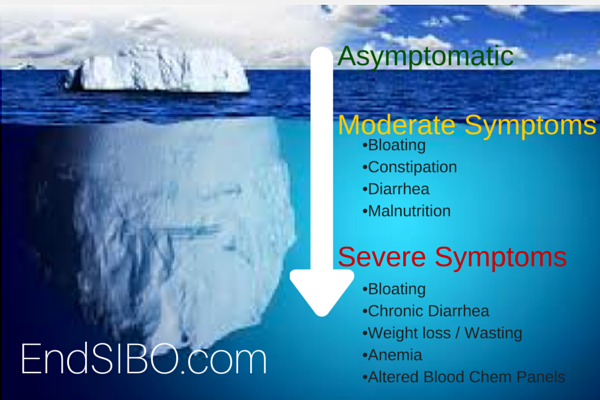 If you currently have SIBO, there was probably a point in time when technically you had it, but did not know it. You were asymptomatic, or without symptoms. There can be an abnormal bacterial overgrowth, of either quantity or species, within the small intestine and you may feel nothing. Maybe some slight bloating that you attribute to something you ate. As time progresses, (and this amount of time is different for everyone depending on their overall state of health, the cause of their SIBO, predisposing factors, and more), there may be noticeable bloating only after meals. Now that this bacteria has taken up residence in your small intestine, it begins to wreak havoc. When you eat SIBO offensive carbohydrate-rich foods like sugar, grains, starch, and fiber, the bacteria ferments it, creating gas and causing bloating. Some strains of bacteria will break down bile salts that are used by your body to break down fats. When fats are not properly broken down, they cannot be assimilated, leading to chronic diarrhea. Patients will often have light colored stool that floats. In addition, bacteria will secrete toxins that destroy the intestinal lining. In my article, What is SIBO, I discuss the anatomy and physiology of small intestine and its role in absorbing nutrients. Once that intestinal lining is damaged, it becomes increasingly difficult to absorb nutrients from the food you eat. 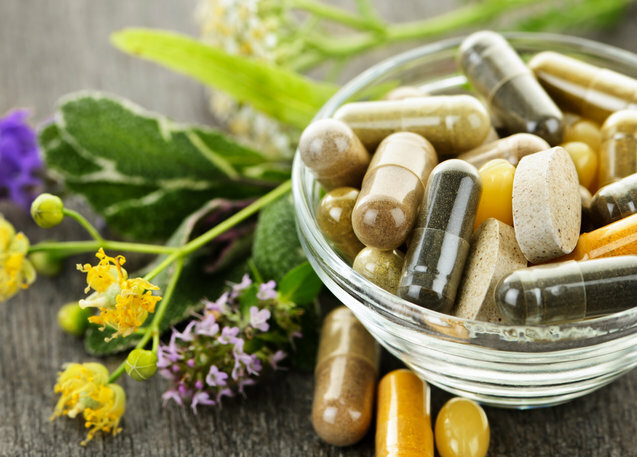 The result I most commonly see is deficiencies in the fat soluble Vitamins A, D and E, but have also seen iron and the B Vitamins affected. The progression, as you will see, is one toward all sorts of health problems. Ultimately, in this Moderate Symptom phase, you will continue to have bloating, but you may also experience constipation and/or diarrhea, and you will definitely have nutritional deficiencies, although you probably won’t notice them at first. Bloating is a given, but this point. Nutritional deficiencies have turned into malnutrition. Anemia, low albumin and decreased cholesterol will begin to show on blood panels, The malnutrition and malabsorption create a wasting syndrome, resulting in weight loss. Bowel function is never, if ever, normal as seen with alternating constipation and diarrhea. 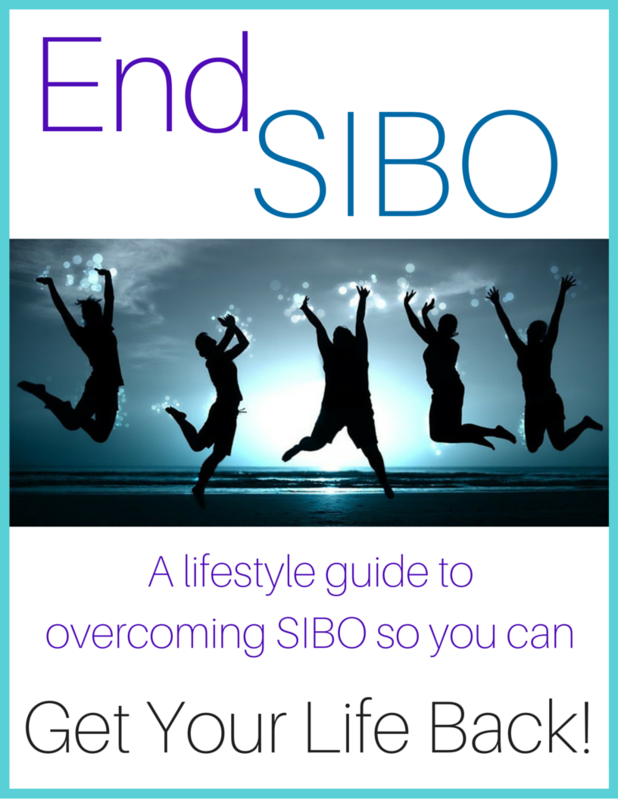 For more educational articles about SIBO, like How to Tell if You Have SIBO, Cause of SIBO, SIBO Symptoms and SIBO Specific Supplements, see the Articles Page or search on the sidebar.